After another long yet successful season for the Toronto Raptors, last night it was finally made official as to whom they would square off against in the first round of the NBA Playoffs: the Orlando Magic. Just a week ago, many people were looking at possible opponents for the Raptors in the first round which included the Brooklyn Nets and Detroit Pistons. That was until the Magic made a late run for the post-season. From sitting in 10th place and fighting for their playoff lives, to winning eight of their last ten games to grab the 6th seed in the Eastern Conference. 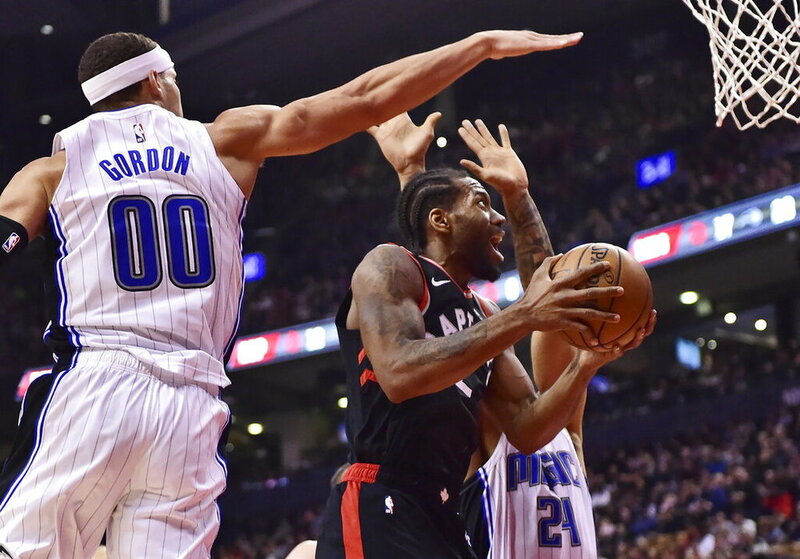 The Toronto Raptors and Orlando Magic have squared off four times this season and split the season series at two-games apiece. The first match-up of the season came early on in which Toronto saw an 18-point lead evaporate, leading to a buzzer beating shot courtesy of Danny Green to win the game for Toronto. The second meeting came nearly a month later and saw Toronto without their star point guard, Kyle Lowry, coupled with a poor outing from Pascal Siakam who only putting up four points and four rebounds. This resulted in a 19-point blowout from the hands of the Magic. Although, those games were prior to the trade deadline, these two teams clashed once in February. Once again, the Raptors were not at full strength, this time being without Kawhi Leonard which deemed to be a huge loss. Toronto got off to a poor start, only putting up 15 points in the first quarter. The big difference maker in that game was the offensive rebounding that Toronto allowed, giving Orlando second-chance points and easy scores which resulted in Toronto taking another defeat from the Magic by 15 on their home floor. The final meeting between Toronto and Orlando came less than two weeks ago on April 1st. This final game between the two had zero injuries and saw both teams with a full 15-man roster. Pascal Siakam, who has had an impressive season and has made a ton of noise surrounding the Most Improved Player of the Year award, didn’t have the best performance once again. Although, this is a good thing; it’s something that happens to a player when you make a ton of noise around the league regarding your high level of play throughout the season. Teams start to take you more seriously and try to change up your game. That’s what Orlando did, but yet they didn’t account for all the other powerful and versatile players in the Raptors’ lineup. This included Danny Green, who shot the lights out, going 7-of-10 from beyond the arc putting up 29 points in a 12-point win for Toronto at home. In three of the four meetings between these two teams, the winning team has won by 12 or more points. This also could have been the case in the first meeting when Toronto was up 18, but was denied a blowout win and instead had to win it at the buzzer. Not looking too far ahead, but the winner of Toronto-Orlando gets the winner of Philadelphia-Brooklyn in the second round. Practice is over. The real games start on Saturday. Are you ready, Toronto?